On June 28, the US Immigration Department came out with a policy memorandum which allows the USCIS to issue 'Notices to Appear' in cases where, upon the denial of an application or petition, an applicant is unlawfully present in the United States. 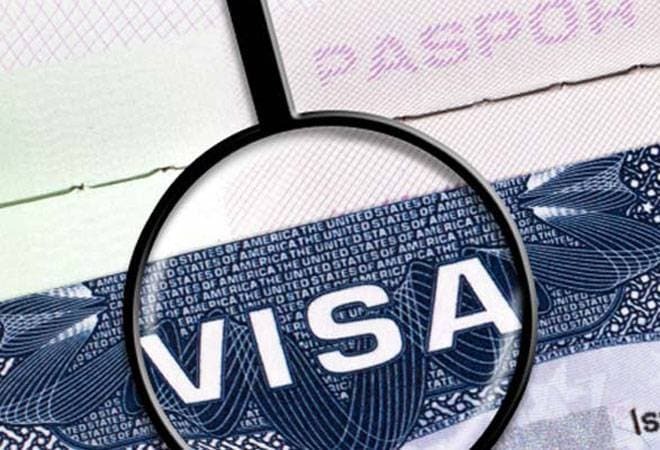 The United States Citizenship and Immigration Services Department (USCIS) has introduced a new rule that will kick-start the deportation process against those whose request for visa extension has been rejected and the tenure of stay granted by the US authorities has expired. On June 28, the US Immigration Department came out with a policy memorandum which allows the USCIS to issue 'Notices to Appear' (NTA) in cases where, upon the denial of an application or petition, an applicant is unlawfully present in the United States. A Notice to Appear is a document given to foreign nationals that instructs them to appear before an immigration judge on a certain date. The issuance of an NTA commences removal proceedings against the foreign citizens. Under the new rules, USCIS officers will now issue an NTA for a wider range of cases where the individual is removable and there is evidence of fraud, criminal activity, or where an applicant is denied an immigration benefit and is unlawfully present in the United States, the policy memorandum said. Jennifer Minear, a director in the immigration practice group at McCandlish Holton, recently in an interview to Forbes explained how the new policy is different. She said that in the past, USCIS generally referred matters of potentially removable foreign nationals to Immigration and Customs Enforcement to determine whether removal proceedings should actually be initiated by issuing a Notice to Appear. "However, under its new policy memorandum, USCIS has greatly expanded its mandate for issuing NTAs without first consulting ICE," she said. "Now, USCIS will issue a Notice to Appear on its own initiative and thereby place individuals in removal proceedings upon denial of an application or petition for immigration benefits if the person is deemed removable at the time of the denial," Minear told Forbes. According to Minear, NTA is a charging document issued by the Department of Homeland Security through any of its component agencies - Immigration and Customs Enforcement (ICE), US Customs and Border Protection (CBP), or US Citizenship and Immigration Services. She said: "The purpose of the Notice to Appear is to place an individual into deportation proceedings." The United States' latest move could hit thousands of Indians who wanted an extension of H1-B visa or whose visa has been expired. Ever since Donald Trump took over, he has introduced multiple rules to further tighten country's immigration policy in a bid to curb the number of foreign professionals in the USA. Between 2015 and 2017, top seven Indian IT companies experienced a whopping 43 per cent drop in their H-1B visa approvals.